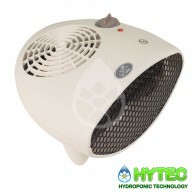 To view our range of Grow Room Heaters, click on the sub-categories below. 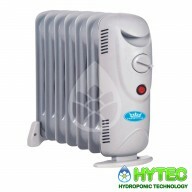 Prem-I-Air 2.4 kW Fan Heater With 2 Settings and Thermostat This powerful 2.4 kW Fan Heater from Prem-I-Air is a “Letterbox Style” horizontal fan heater with a stylish curved design. With the option of 2 heat settings (1.2 kW & 2.4 kW) plus fan only it allows you to achieve your ide..
Prem-I-Air 2kW Convector Heater This contemporary 2kW Convector heater is finished in white with matt graphite-coloured accents and features 3 heat settings using simple push button controls. 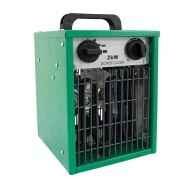 Including a fully adjustable thermostat with rotary control and overheat safety cut-out feature..
Prem-I-Air 500 W 5 Fin Oil Filled Radiator The 500 W, 5 Fin oil-filled radiator has a single heat setting and adjustable thermostat plus safety overheat cut-out. 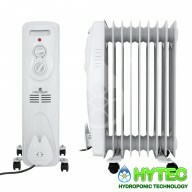 There is also a convenient carry handle built-in to this radiator and power on light indicator. 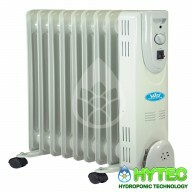 Depth (mm): 250 ..
LightHouse Oil Filled Radiator 1000w The radiator have adjustable thermostats and protection against overheating and will keep areas warm during the colder months. 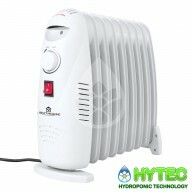 9 fins two heat setting Thermostat control protection against overheating ..
800 W 7 Fin Oil-Filled Radiator The 800 W, 7 Fin oil-filled radiator has a single heat setting and adjustable thermostat plus safety overheat cut-out. 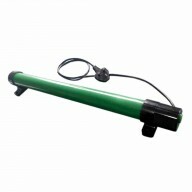 There is also a convenient carry handle built-in to this radiator and power on light indicator. 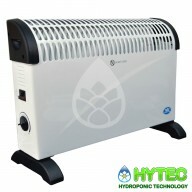 Depth (mm): 97 Height (mm): 334 Wi..
Lighthouse 2000w Oil Filled Radiator Compact and powerful radiator to take the chill from any room. The 2000w has 2 settings at 800w and 2000w. 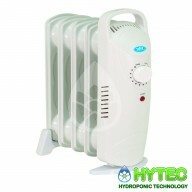 Features: On/Off switch Thermostat 9 Oil filled fins Cord storage ..
2 kW 9 Fin Oil Filled Radiator 2 kW 9 fin oil filled radiator. 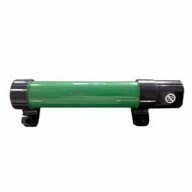 Product features 3 heat settings, adjustable thermostat, over-heat safety cut-out, power indicator light, durable castors, environmentally friendly oil, built-in carry handle and power cord storage. 3 Heat Se..